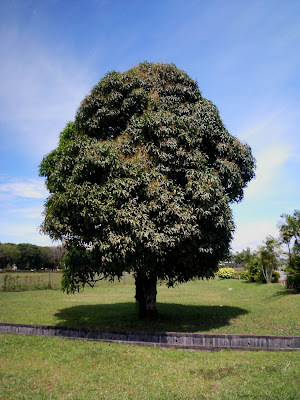 This is indeed THE Mango Tree of Bintulu. Planted sometime in the sixties, this mango tree stands today as a sole testimony of urban crawl that devastated the traditional Bintulu. In modern Bintulu, this tree managed to withstand the urban onslaught. I used to see this tree when I was about 10 years old when we live in a government quarters next to it. What a survivor!